We are prepared to help you learn towables from, (car trailers, boats, pop-up tent, travel trailers, toybox trailers, 5th wheel trailers, and motorhomes). We accomplish this through private lessons or mini seminar training sessions. 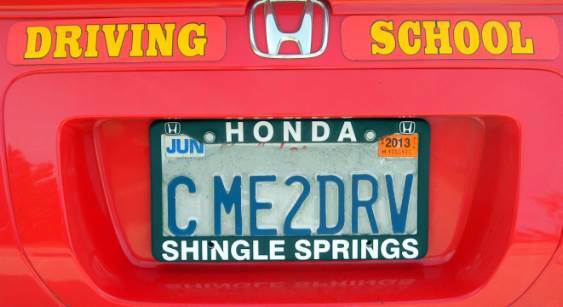 We are a State of California DMV licensed driving school, license #3298. All of the personnel at our school only wish for your experience to be enjoyable and very educating. Our goal is to make you a proficient and confident RVer. A family four-wheel drive club. "Dedicated to responsible four-wheeling and family fun." We are a club made up of about 30 families. We have members that have all makes of four-wheel drive vehicles. Some families have ATV’s and motorcycles which are welcome on some of our club runs. This link to the DMV web site is informational. It does not indicate any Department of Motor Vehicles' affiliation, sponsorship or approval of goods or services or commercial activities related to any goods or services described in that other web site. Nationwide® Health Plans and much more. JOHN SHIFLET, agent.